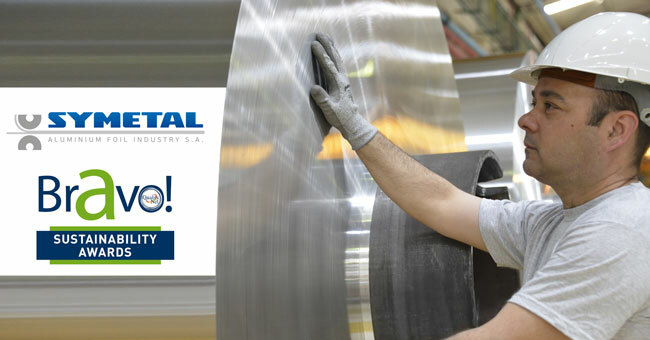 Symetal - Aluminium Foil Industry S.A. Symetal - Symetal at Bravo! Sustainability Awards 2018! Symetal at Bravo! Sustainability Awards 2018! Bravo Sustainability Awards aim to highlight and reward the best practices recorded by the participating Organizations at the online Dialogue for Sustainable Development in the context of the Sustainable Greece 2020 Initiative. These practices contribute to the promotion of Sustainable Development and Corporate Responsibility, the advancement of responsible behavior standards and the improvement of the quality of life within the Greek society. Associations, businesses, local authorities, civil society, academic institutions and schools take part in the awards by submitting their actions in the five distinct categories (Governance, Market, Environment, Society, in Action). For the second consecutive year, Symetal participates in the Bravo Environment award category by submitting its best practice titled “Elimination of Rolling oil waste”. Everybody can actively participate in the evaluation process by voting online. Voting will be open until September 30 2018.